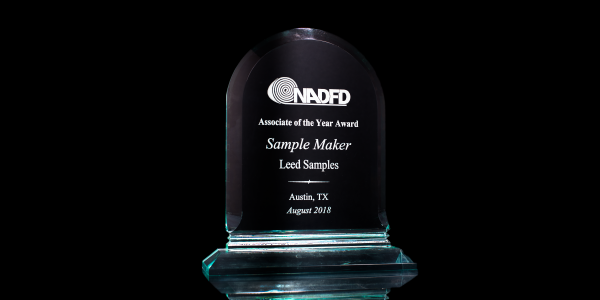 It is our pleasure to announce that Leed has once again been chosen by the NADFD as 2018’s Sample Maker Associate of the Year. We would like to thank our hard working, and dedicated employees, as well as our amazing customers for this achievement. If it wasn’t for either of you we wouldn’t be in this position! 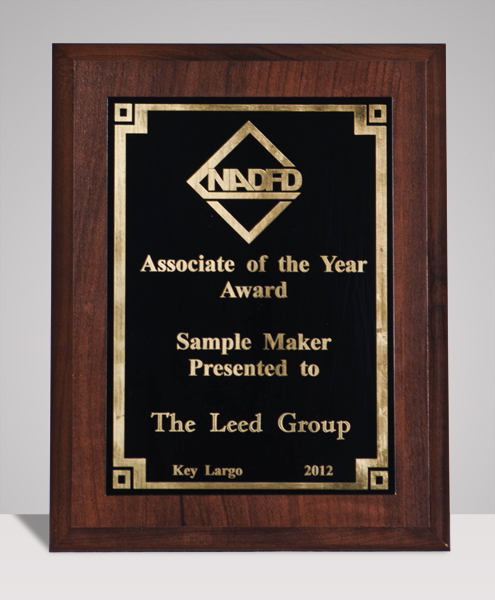 For the 5th time in the last 6 years Leed was awarded the Sample Maker Associate of the Year from the NADFD. We would like to thank our customers as well as our employees for helping us achieve this great milestone. We will continue to work hard for this industry and produce the best samples possible. 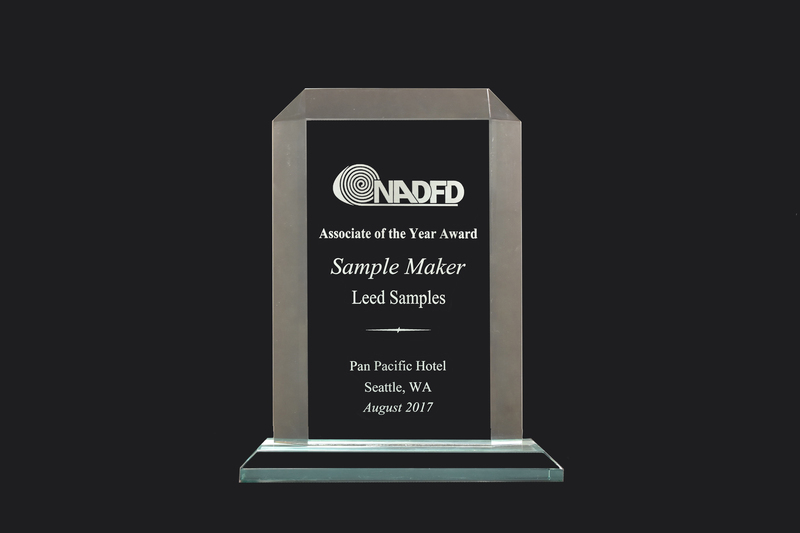 Leed is happy to announce that we have received the 2016 NADFD Sample Maker Associate of the Year award. This marks the 4th time out of the last 5 years that we have won the award. To be honored for such a great award is due to our amazing customers and our hard working, dedicated employees. Every day our employees strive to make better samples than the day before. Receiving this award highlights great work they do day in and day out to get you the best made samples possible. 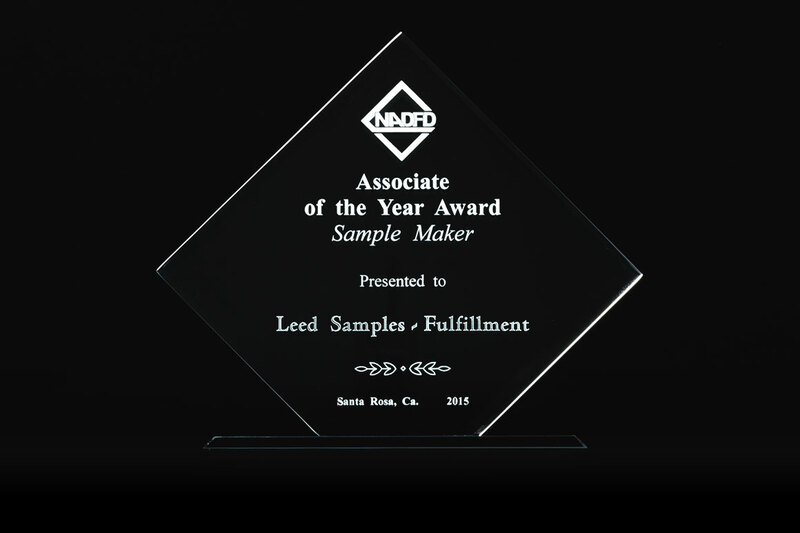 Leed Samples has received the honor of Sampler Maker Associate of the Year from the NADFD conference in Santa Rosa, CA this year. Leed has won this award 3 of the last 4 years. 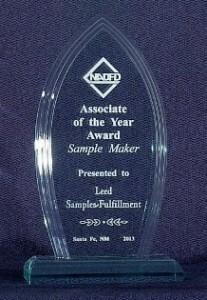 To be recognized in this industry as leader in sample making is a great honor. It could not have be done without our great customers to support us, as well as our dedicated employees who strive to make the best samples in the industry for each of our customers. 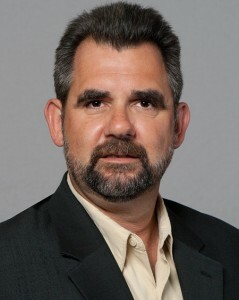 We are proud to announce that our CEO, Doug Edwards, has been named to the Board of Directors for the Wallcoverings Association. The Wallcoverings Association (WA) is the trade association dedicated to representing, connecting, and supporting manufacturers, distributors, and suppliers of residential and commercial wallcoverings in North America. Having been part of the WA for many years as a member and part of various committees, it is a great honor to be given this key role in the Association and we look forward to helping not only the organization grow, but the industry as a whole. 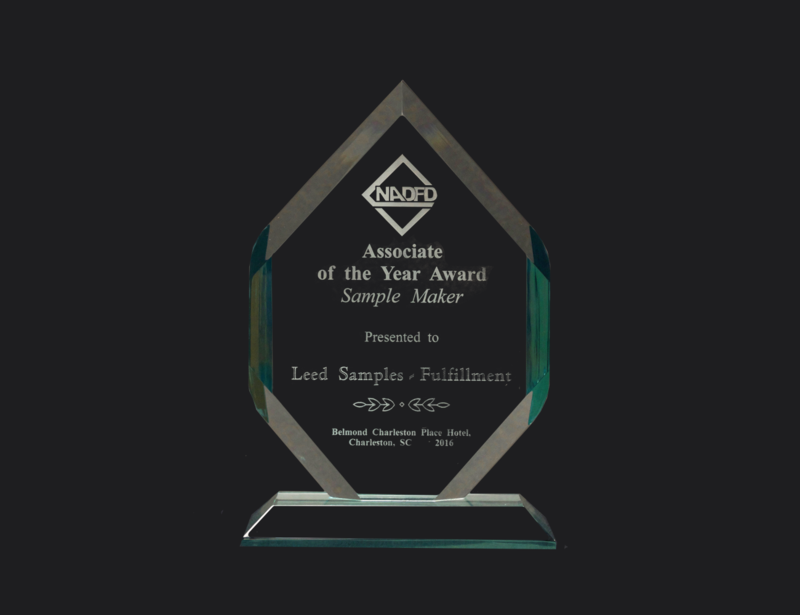 At the 2012 Annual Conference in Key Largo, Florida, earlier this month, Leed was named “Sample Maker of the Year” by the National Association of Decorative Fabric Distributors (NADFD). Each year the Distributor Members of the NADFD vote for the best performing Associate Member in three categories based on Quality, Service, and Delivery. The categories are Coated Fabrics, Textile Mill and Sample Maker. The category winners are recognized at the annual meeting. 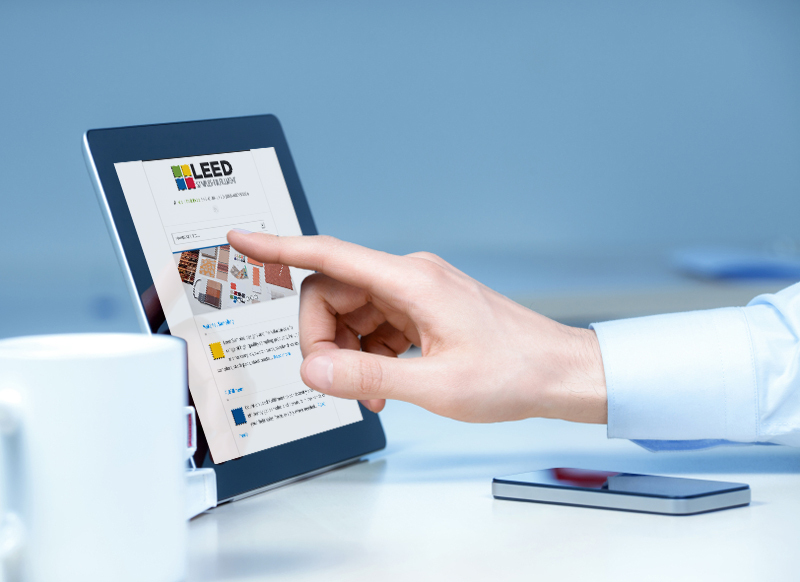 Leed is proud to announce the launch of this completely redesigned web site. The new website and company logo reflect Leed’s focus on quality and our continued commitment to making the best looking material samples. Together with our rapid samples & literature fulfillment services we make your company stand out from the competition. 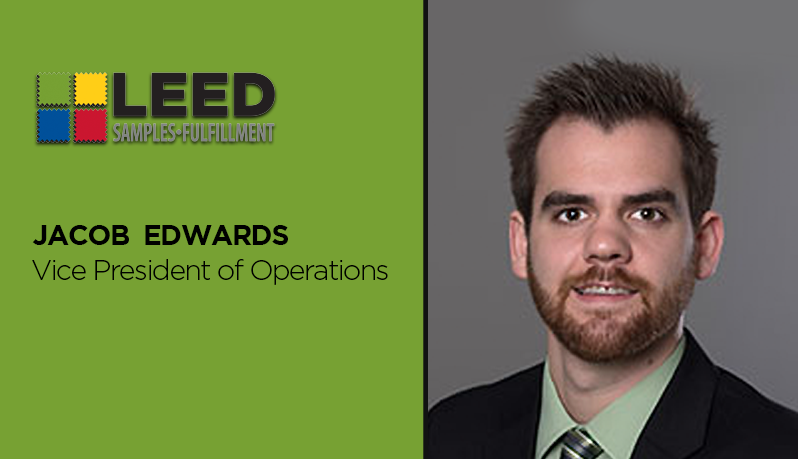 To further emphasize our complete solution, from now on we’ll operate under the names of Leed Samples & Leed Fulfillment. Have a look at this new website and learn more about our materials sampling capabilities and samples & literature fulfillment services. If you would like to discuss your sampling or fulfillment needs, please contact us. We’ll be glad to answer your questions. PS: Don’t hesitate to let us know what you think about this new web site and our company logo.